I just read an article in the local newspaper-The Star-Telegram which talks about the newest beauty cream sensations–BB Creams. Here is the link to the article which was written by Courtney Ortega: http://www.star-telegram.com/2012/07/27/4132148/how-do-new-bb-creams-stand-up.html. I first heard about BB Creams this summer on the Dr. Oz Show, they are supposed to be the next best thing for skin especially if you are a woman of a certain age. They contain all sorts of good things such moisturizer, sunscreen, a hint of color or not, antioxidants and even skin lightening ingredients. 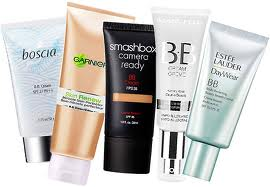 BB creams can be worn alone or used with foundation and/or powder. I decided to try this magic. I ran into a problem that it seems the cosmetic industry is just now starting to realize. The products do not have deeper/dark colors for the most part. I will admit that I did not try all of them. 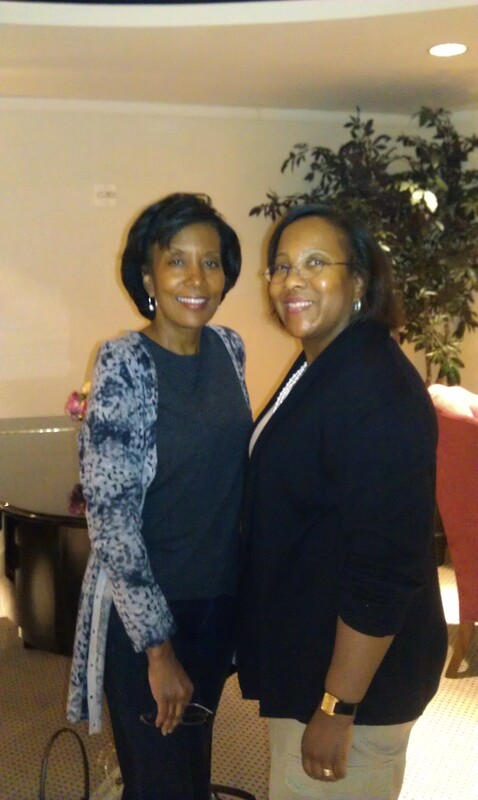 I did however go to Neiman Marcus and talk with the ladies in the cosmetic department. I was informed that several of the larger brands such as Bobbi Brown and Clinique are in the process of formulating deeper colors. 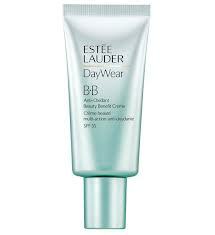 The ladies then decided to apply Estee Lauder DayWear BB Cream on me. It comes in two shades. The darkest of the shades was still far too light for me even with the expert makeup artist applying it. 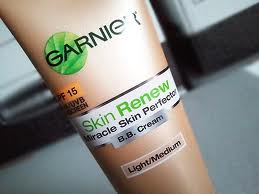 The first BB cream that I tried on my own was Garnier Skin Renew BB Cream which comes in two shades: light/medium and medium/dark. I chose the medium/dark–go figure. It claims that you will save time with just one multi-benefit product that offers advanced skincare + immediate skin perfecting coverage. This hybrid formula renews radiance, brightens complexion, evens skin tone, hydrates and protects with SPF15 UVA/UVB sunscreen. Get results you can see and feel instantly. I tried to apply the product without first applying a moisturizer, but decided that since I was a woman of a certain age it would work better with a moisturizer applied first. The medium/dark was not for me–still too light. It made me have that “ashy gray” color that I call the color of death. I did however give this one to my sister whose skin tone is a couple of shades lighter than mine. She applies it with a moisturizer also, and it looks okay, not good, but okay. It still seems like she is wearing a bit too much makeup for me. The next one I tried was Smashbox Camera Ready BB Cream which comes in five shades, fair, light, light/medium, medium and dark. I chose the dark in this product. 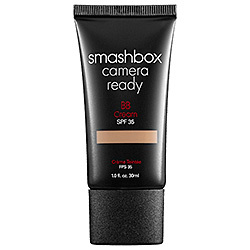 Smashbox claims for this product says that it is a five-in-one set secret for achieving flawless skin on camera and beyond. It states that this multitasking tinted cream formula with SPF 35 moisturizes, primes, perfects, controls oil, and protects for flawless skin on set and beyond. Formulated with emollients and optical pearl pigments, this BB Cream gives skin a glowing, ethereal look and provides a hydrating veil for the complexion to maintain moisture on the surface of the skin. With its ultra-smoothing finish, it instantly re-texturizes to create a smooth canvas. Especially when worn under foundation, it enhances the wear of makeup. I again tried to put it on without first applying moisturizer, and again decided that it would work better with the moisturizer. The dark was great for me, it blended smoothly without a lot of coverage, just enough. I wore it for an entire day, in and out of the sun and by the end of the day it still looked good. I did not put anything else over it at this time. The next time I wore it, I did apply a small amount of Bobbi Brown Bronzer just because I like that look. 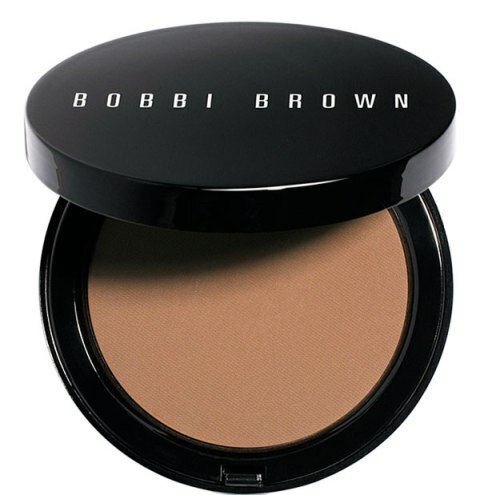 Bobbi Brown Bronzer is my go to, always must have product. Since I think the dark was good for me, they do need to get ever darker/deeper colors so that more women of color can use this product. I like this product for several reasons. One of the main reasons that I like this product is that you can put your sunscreen and makeup on in one application, and if you believe the hype, you can also put on your anti aging creams at the same time. I do not suggest that you then put on foundation, it seems a bit too much for me. Since I live in Texas, I do not wear a lot of makeup and I choose it very carefully, and this is one that I would keep with my cosmetics. For the most part, I am a bronzer person–no foundation., but I will keep this product with me and carry it when I travel, if for no other reason than it can save on space, and you can get it in that little plastic bag that TSA gives you. The prices of BB Creams are drug store prices to high-end store prices. Take your time, try a few and then decide if this product is for you. If you have tried BB Creams, please share your experience with us. Like you, I just heard about BB creams this summer. I can’t remember if it was on GMA or “The View”, but I thought it was interesting. From the article, I see that BB creams have been around since the 60s so I suppose they’ve been refined. Haven’t tried any myself, but after your blog and the article, I might give it a try. Thanks!